How Old do You Have to be to Work at Crazy 8? Does Crazy 8 Drug Test? 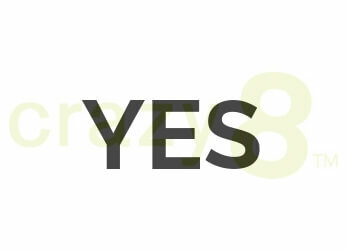 Do Crazy 8 careers sound like the right employment opportunities for you? If you answered yes, this in-depth guide is just what you need to land your ideal role! Crazy 8 has been around since 2007 and is part of the Gymboree Group, which also includes Gymboree and Janie and Jack stores. They specialize in fun, cool clothing for kids from 6 months to size 14, all at great prices. With over 290 stores throughout the U.S., working at Crazy 8 means joining a fun team of passionate people helping kids “make a big statement for a small price”. Included in this guide are a number of tips to land the ideal job at Crazy 8, what to expect through the application process, and current open positions. Read on for everything you need to know about joining and working for this excellent company. The sales specialist position is an entry-level role ideal for friendly, helpful individuals excited by the idea of helping children find their style. Do you have an eye for fashion, enjoy working with children, and have excellent customer service skills? If so, this may be the role for you. Sales Specialists work in a fast-paced environment and should have a passion for selling. Crazy 8 prefers applicants with prior experience in retail and an ability to use store systems accurately. Apply for this position if the above sounds like you, you’re 18 or over, and have flexible availability. The Lead Sales Specialist position is part sales associate and part coach. In addition to providing excellent customer service and selling clothing and accessories, individuals in this position act as role models and supervisors to the Sales Specialists. You should apply for this role if you have excellent communication and problem-solving skills, a passion for fashion, enjoy working with children, and have 1-3 years of previous retail experience, preferably in a supervisory role. You should be willing to jump in as needed to support the staff, be it Sales Specialists or store management. 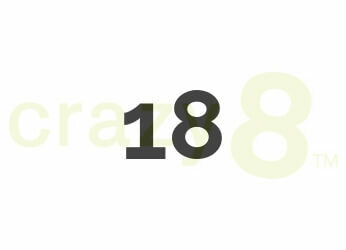 Crazy 8 asks that applicants be at least 18 years old and have flexible availability. In addition to the Sales Specialist and Lead Sales Specialist roles, Crazy 8 offers several management positions, including Assistant Manager, Store Manager, and District manager. Assistant Managers are responsible for recruiting staff, providing sales and customer service training to employees, and overall serving as a role model for the team. They should be able to implement strategies and change store displays to drive sales, have a “get things done” attitude and be able to effectively partner with their team to create a fun and fast-paced sales environment. Store Managers are responsible for overseeing all store operations and effectively leading their employees. The position is ideal for customer-centric individuals with strong communication, problem-solving and leadership skills. Creating and implementing sales strategies and store displays, being an expert in the products sold, and upholding brand standards are integral aspects of the role. District Managers are responsible for all sales, operations and human resource management within their assigned district. This position requires strong leadership skills, with District Managers ensuring brand standards are met across the district and motivating teams to provide the best in customer service. Communication and problem-solving skills are a must in this role, as is regular travel to the stores within the district. Both part-time Sales Specialist and part-time Lead Sales Specialist roles are available seasonally, primarily from November to early January. How Much Does Crazy 8 Pay (Hourly & Salary)? You can expect a range of benefits when working at Crazy 8 depending on your position. A generous employee discount and 401K eligibility are standard across all positions. Management roles enjoy additional benefits and perks, including Health Savings Account (HSA) employer contributions, Flexible Spending Accounts (FSA), commuter benefits, paid holidays, flexible time off, discounts on classes at Gymboree, life insurance, educational assistance, and additional discounts at partner companies. It is apparent that Crazy 8 does conduct drug tests in addition to background checks and reference checks. While our research did not offer specifics or additional clarity into these requirements, it is best to go into the job application process expecting that you may be required to pass a drug test, and submit to both background and reference checks. Did you land an interview at Crazy 8? Congrats! Below are a few of the most common questions and tips for responding. Why do you want to work for Crazy 8? This is the number one question you should expect when going in for your interview. Employers want to know why you’ve selected them instead of another company. This is a great opportunity to let your research into the company shine! What is Crazy 8’s mission? What about that mission excites you? Are you passionate about the customer, about children, about fashion? Let the interviewer know! This is a great opportunity to share your excitement about the company with your interviewer and make them feel that you are the best person for the job. Tell me about your retail/sales experience. Whether it’s your first retail job or your fifth, it’s important to be honest about your past experience. Use this opportunity to tell them about past roles and responsibilities if you have direct experience. Be sure to highlight any details that apply to this role as well. If this is your first retail or sales job, it’s okay! Everyone starts somewhere. Use this time to share any past experience that may be relevant to a job at Crazy 8. This could be volunteer work, school clubs or sports, or a non-retail job. What about these experiences can you apply to this new role? Tell me about a time when you had to deal with a difficult customer. You have probably heard the saying “the customer is always right”. When it comes to retail, this is true. Workplaces are looking for employees that will provide excellent customer service especially when dealing with a difficult customer. Go to your interview prepared with an example of a time when you dealt with a difficult customer. Make sure the example highlights your customer service skills. Did you go above and beyond for a customer? Were you able to de-escalate a tricky situation? Share it! Be careful, of course, not to badmouth the customer. It’s important to make a good first impression and dressing appropriately can have a big impact. Regardless of the role you are applying for, professional dress is recommended. This is a great way to impress your interviewer and show them that you are serious about the position. Before your interview, print several copies of your resume and bring it with you. Additionally, bring a notepad and a pen to write down any notes from the interview, like any next steps and rate information. This is also a great place for you to write down any questions you may have for your interviewer. Lastly, bring a bottle of water with you! Throughout my career, I have explored roles in retail, film, startups, and tech on my quest to find the best fit. I understand the importance of finding work that one is passionate about, and am excited to help others do the same.